One of my short stories, “Backyard Dogs,” was published in Atticus Review this February. Below I discuss the process of writing, rewriting, and finally publishing this story. I first wrote “Backyard Dogs” the year before I started my MFA writing program at the University of Massachusetts Amherst. Originally, the story was about a pack of rabid dogs that mysteriously appeared in a brother and sister’s backyard. I liked the story and, as a result, took it to workshop in my very first semester of graduate school. After one slightly eccentric classmate read her letter of praise out loud, the rest of the class proceeded to tear the story apart. It was sentimental, they said. The writing was imprecise. It was not, in short, up to par. Feeling discouraged, I scrapped the story and decided to develop a new writing process. From that point on, I began experimenting with a style that was tight and carefully constructed. Coming from a journalism background, I had always written in a short, concise manner, but after writing fiction for the past few years, my prose had become sloppy. I worked on honing the skills I already had in order to create a more solid draft. A few workshops later, I turned in the second version of “Backyard Dogs.” I had rewritten the entire piece. I am not sure the initial draft was a failing one, but that first workshop encouraged me to write something new. The second draft was about a young girl who was allergic to almost everything. Somehow, despite (or perhaps because of) her misfortune, the character is ultimately able to connect with a homeless man who sleeps in her backyard. Although this draft was not at all like the first, perhaps a few elements remained. I had eliminated the dogs entirely, yet I kept the title from the first draft. Perhaps the tone, too—the sense of isolation and poverty—also transferred over to the second story. This draft, like the first, had a clear sense of space. When I imagined the girl’s backyard, I had a strong picture in my mind of what it looked like. Like many of the characters I have created, the girl in “Backyard Dogs” is a fusion of people I have met over the years. For example, I once taught a girl who was allergic to nearly everything, including the sun. She couldn’t take pottery classes. She had to work in a particular room in the building and often ate lunch alone. One day, I watched this girl during a fire drill. She was standing in the shadow, her head and entire body wrapped in a special, hypoallergenic cloth. The girl in “Backyard Dogs” has a different personality, yet I was able to use this real-life student as inspiration for this character. After a few more drafts, “Backyard Dogs” was beginning to take its final form. I ultimately included it in my MFA thesis. It was perhaps the most experimental of the stories I had written during my three-year program. It was also one of the most pressing ones. This year, it was finally accepted and published in Atticus Review’s “Trespassing Issue.” It took several years and many drafts, but I am now very proud of this work and feel fortunate to have seen it develop over time. I share this story in order to demonstrate the long, often indirect route to publication. Sometimes it takes several years for a story to mature, and that is okay. The first draft of “Backyard Dogs” was not at all like the final one, but without this first draft, I would not have arrived at the short story available today. I have been in touch with several MFA graduates since finishing my degree, and it seems very few of us have published a book. Some of us are publishing in literary magazines, and a few have had novels or poetry collections published by small presses, but it seems the bulk of MFA graduates do not have an agent or publishing deal. Many seem content this way, having little to no interest in working with commercial publishing houses. What I find concerning, however, is that many graduates seem to have given up writing and the publishing process altogether. In a way, this makes perfect sense. As many MFAers know, an MFA does not prepare students for publication. There are many classes on the craft of writing and some basic contemporary literature courses, but there are no classes on marketing work, obtaining an agent or writing for a specific audience. It seems we have only been taught the art of writing. While I agree our main priority should be creating a well-crafted piece, this should only be the beginning. The next step is figuring out how to get others to read our work. The problem is we often don’t care about this stage of writing process—or we are unwilling to look at our work from this harsh, often critical angle. I think many MFAers want to be published, but more importantly we want to write. If agents or publishers will only reject our work, we might as well just publish for ourselves. I am not sure if this is truly the case for all MFA graduates, but many of those I have spoken to feel the publication process is just not worth the effort. In a way, I agree with this. While we should do more to publish our work, the publishing world is often an exclusive one. There are many good agents looking for debut writers, but perhaps they are not always looking in the right places. While many agents go to writing conferences and ask others for referrals, perhaps more should be reading their slush piles, meeting students at MFA programs, and finding talent at local bars, readings and bookshops. On the other hand, I sympathize with agents and understand they can only read so much material. Still, this process of weeding out mediocre from exceptional work needs to be refined. It seems MFA graduates have their own circle of friends and colleagues, and likewise agents have an entirely different circle of acquaintances. In this way, it is possible that these social circles will never overlap. I agree that the publishing process is a difficult one, but I also believe we have to make a concerted effort to publish our work. I understand the need to retreat, to hide and write only for small audience of friends who understand our work. But, our writing is larger than that and needs to reach a broader range of people if we are to have a greater influence on the readers and world around us. That is the only way to make a career out of a passion that cannot be found anywhere else. We need publishers to edit and promote our work. If this means knocking on every door, then so be it. 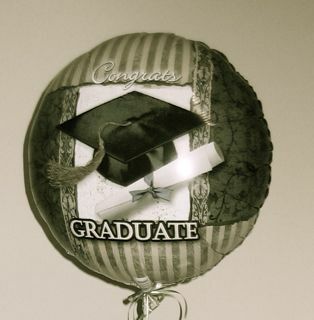 When I think of the 15-20 graduates I finished my MFA with and wonder how many of them are trying to publish—it saddens me to think it might only be a few. The world is being robbed of these great talents, and I hope MFA graduates and those in the publishing industry will someday do more to ensure these great voices are heard. 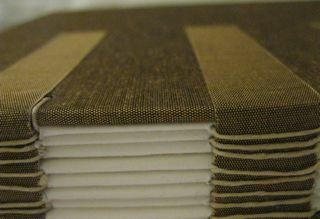 The process of going from a finished manuscript to a bound book is often a difficult one.